On Saturday the 30th of September, our intrepid Cuban halfback, Lestter, turned out for the Shuto League committee team to help out with numbers. 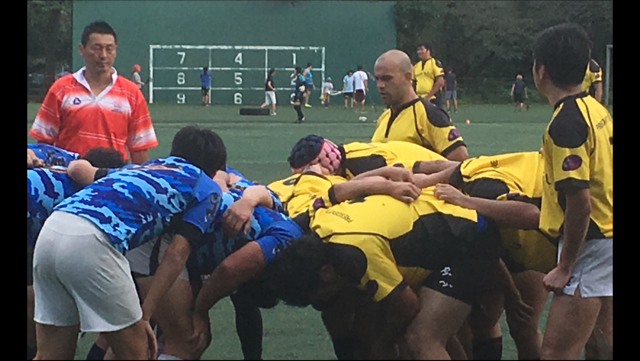 The game was played on the Komaba Campus of Tokyo University and was against two teams, with the Meguro Chasers RFC taking the first half, and Toppan RFC taking the second. Lestter played a great first half, even scoring a try ! After the game, the committee went to have an important meeting, we suppose, and Lestter went off to have a good night’s rest for the very important Shuto League game against Nerima RFC the following day. Thanks for helping out, Lestter.